I started running Scrapbook Classes last month and this is the first page my ladies completed. 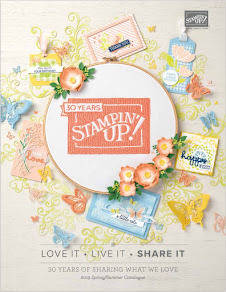 I don't consider myself a 'Scrapbooker', although I do occasionally dabble, so these classes are a fabulous challenge for me and I have loved planning them. 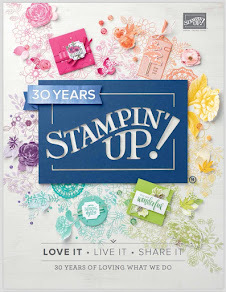 The focus this time was on the Happy Flowers (Hostess) stamp set and the Gingham Garden DSP. 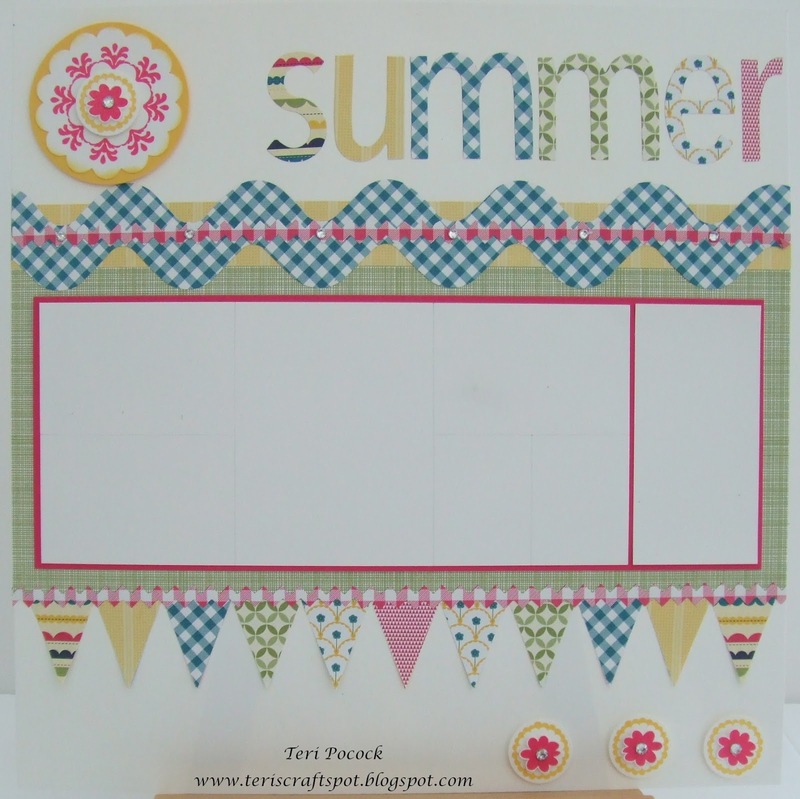 I love the sunny feel to the papers and the stamps go beautifully, so we created 'Summer' pages. The larger of the white mats can be divided up to hold lots of photos. The smaller one is for journalling, although that could be used for photos too.